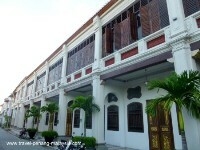 There is an ever increasing number of Penang Heritage Hotels in George Town, with old houses and colonial mansions being renovated and turned into some very nice, unique accommodation and boutique hotels in Penang. 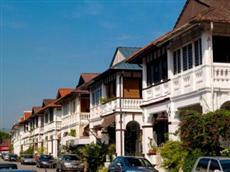 Below are a list of these heritage hotels, most of which offer good locations in the old parts of town. Don't take too much notice of the star ratings of these hotels, some of them are a bit off! We've put the cheaper hotels at the bottom. If you would like to stay in any of these heritage hotels in Georgetown, we would advise you to book as early as possible, especially for the smaller ones with only a few rooms available. 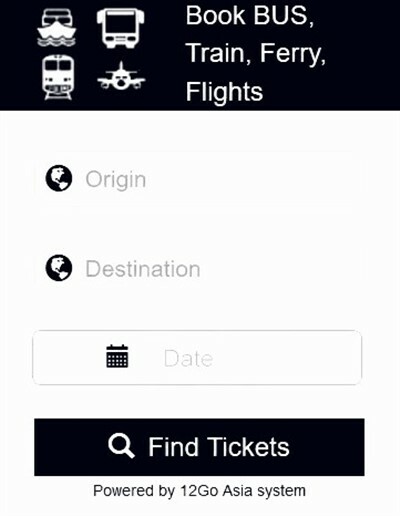 This page contains links to third party sites that we are an affiliate of and may receive a small commission from if you book a room. 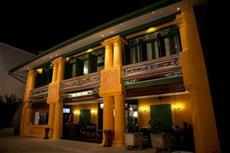 For more information, to read reviews or compare room prices, just click on the hotels name. 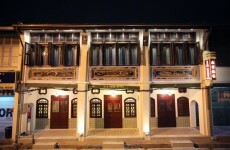 This new heritage accommodation in Penang (opened in 2018) offers visitors an excellent location, set within the grounds of the famous Khoo Kongsi Clan complex, just a few minutes walk from the many tourst attractions in this part of the heritage area of the city. 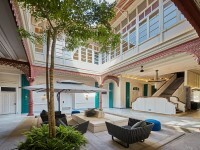 This new Heritage hotel in George Town Penang was opened in July 2016 in what was formerly the old Cathay Hotel. The property has been beautifully restored and now offers 35 luxury guest accommodations along Leith Street. 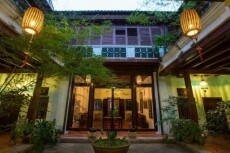 A small boutique hotel located near to the Penang museum in the centre of Georgetown's historical district in a renovated colonial bungalow, set back from the street. Love Lane is a popular road just off of Chulia Street full of budget accommodation. 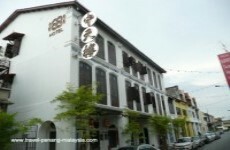 Chinese heritage hotel in the heart of Chinatown on the corner of Campbell Street and a short walk to the popular shopping and dining area of Penang Road and KOMTAR. 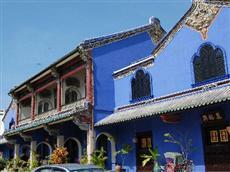 Located on Leith Street just one road down from Penang Road, the "Blue Mansion" is one of Georgetown's most famous sights and offers 16 rooms for guests. 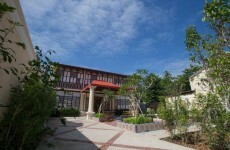 The also conduct daily tours of the property if you just want to visit. 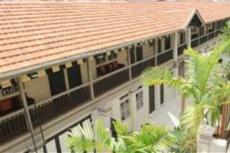 This heritage accommodation is in a beautifully restored mansion along the popular tourist area of Chulia Street with just 20 rooms available. 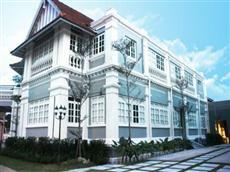 A Boutique Heritage accommodation located close to the popular area of Penang Road, which is just a couple of minutes walk away. 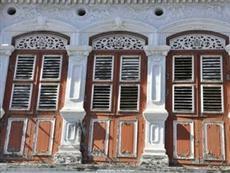 This small heritage accommodation is located on China Street in the Little India area of the city. 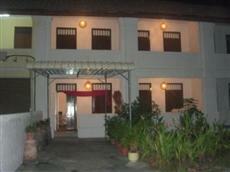 A good value 3 star heritage accommodation in a good location on Cintra Street (just off Chulia Street). 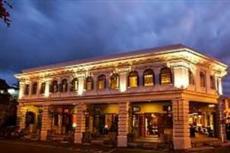 A relatively new 3 star heritage hotel offering an excellent location, hidden away in a quiet corner at the top end of Muntri Street, just a couple of minutes walk away from Penang Road. This new heritage accommodation in George Town recently opened in early 2016 and is located in a quiet area along Hutton Lane. Located just off Transfer Road, this hotel is a little bit away from the old part of town, but is a popular choice. 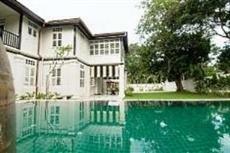 This restored Edwardian bungalow offers just six suites and is located just outside of the city centre off of Burma Road. 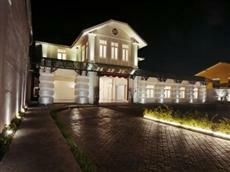 With only 18 luxury rooms and suites this heritage accommodation also offers an on-site luxury Spa. 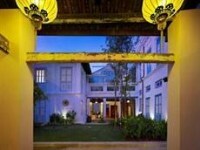 Offers just a couple of rooms in restored houses just behind the Thai Temple and close to the popular upmarket Gurney Drive. 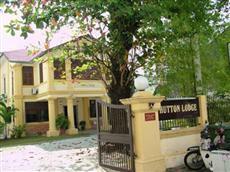 A highly rated B & B hotel just off of Burma Road and a short taxi or bus ride into the city centre and all its attractions. 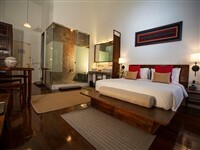 The Straits Collection offers just 4 rooms along the historic Armenian Street. 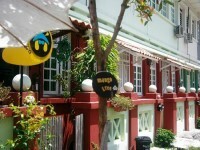 The Muntri Mews offers 9 rooms along Muntri Street which is just a short walk to Penang Road and the tourist sites of Georgetown. 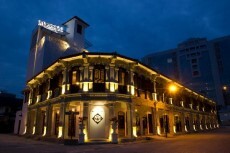 The 1926 Hotel in Georgetown is made up of 24 restored link houses and is located outside the main area of George Town along Burma Road. 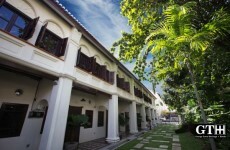 This Heritage hotel in Georgetown offers a good location along Chulia Street, set back from the road and within walking distance of everything you will need while visiting George Town. 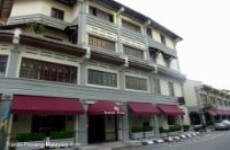 Heritage house apartments a short distance from the city centre near Burma Road. 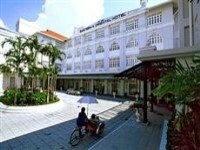 This budget Penang heritage hotel offers a good location just off of the popular Penang Road.